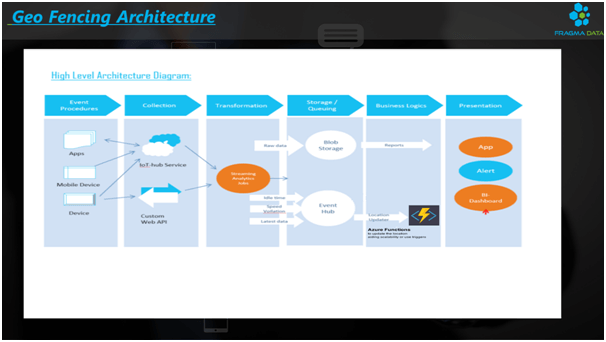 Fragma Data provided a new scalable technical architecture using Azure Data Platform components Event Hub, Azure functions. The solution enabled them to build a scalable platform for their SaaS offerings and build new features using Azure PaaS offering. Used IOT HUB to collect data from devices, apps. Stream Analytics to send interested events to Event Hub and Raw data to BLOB. Use Azure Function to constanly validate the Geo-Fence Check and Update the location.